Another day, another massive shake-up at the top of the auto world. Hyundai North American President John Krafcik, who led the company to some of its more recent successes in the States, is stepping down at the end of the year. He's succeeded by David Zuchowski, Hyundai's current vice president of sales. 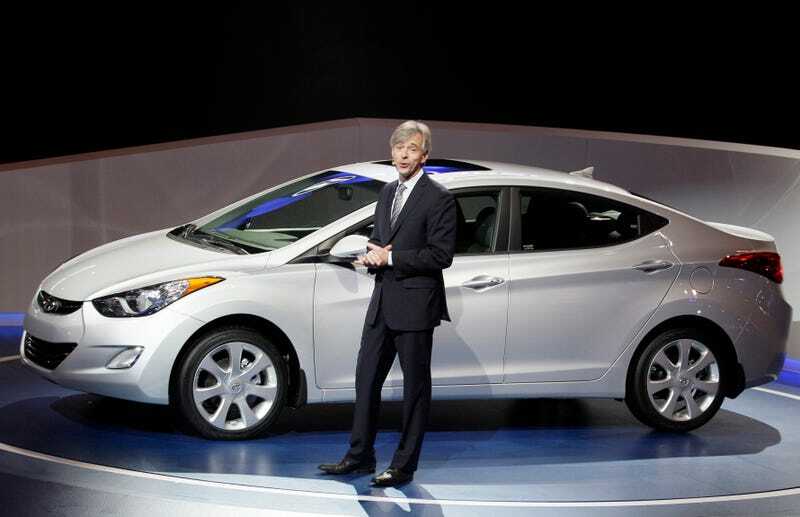 Under Krafcik's five-year tenure as chief, he became a favorite among auto writers because of his claims to make Hyundai the most fuel-efficient auto maker with its entire lineup averaging 50 mpg in the next decade. And then that fuel-number discrepancy controversy happened. But Krafcik has notable achievements on his resume, including the rollout of the Genesis and Genesis Coupe, making the Elantra a capable contender in the compact segment, steering Hyundai's overall product away from the budget bombs the company was known for in the '90s and building a dealership customer-service strategy that treated Equus and Genesis customers more like luxury buyers and less like the average Sonata driver. Before coming to Hyundai in 2004, Krafcik worked in product development at Ford. Zuchowski, his replacement, is also a Ford veteran, having worked as director of field operations for Ford and Lincoln-Mercury and then working as vice president of sales at Mazda. Zuchowski's appointment is effective January 1.